IDW's Greatest Hits! One-dollar versions of key issues and launch-points from your favorite IDW books! This time it's SHOWTIME and SYNERGY, for only a dollar! 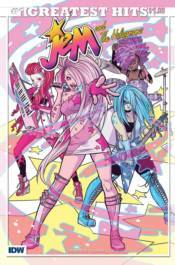 See where the whole Jem and the Holograms comic craze began!